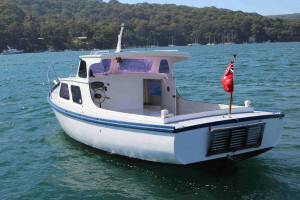 "The prettiest little day-boat around"
Are you looking for a boat to share some precious moments afloat, small enough to be easily handled by one person but big enough to seat a handful of friends in comfort? 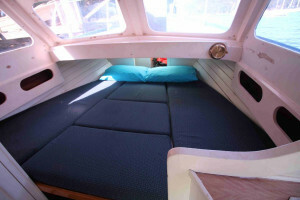 Perhaps to overnight aboard if the moment is right? 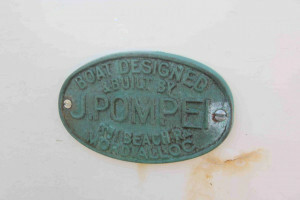 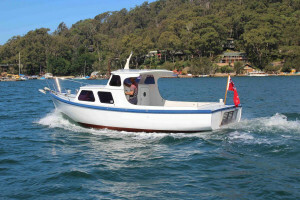 A boat who's lineage comes from a boatyard renown for some of the most sea-worthy Bass Straight fishing boats. 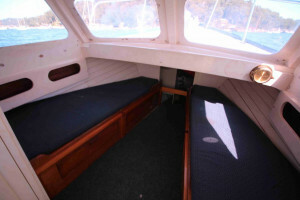 Built from Huon pine carvel planks. 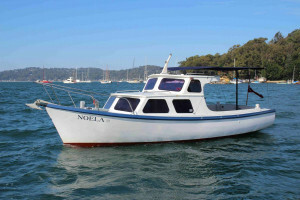 After nearly fifteen years of fantastic adventures with the current owners Noela is seriously offered for sale. 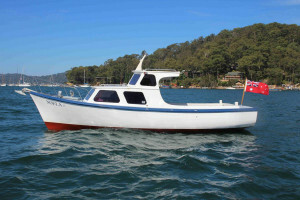 Powered by a reliable freshwater cooled 65hp marinised Ford Lees diesel, Noela's super stable hull form will "putt" along at a leisurely pace. 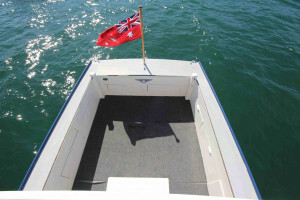 Running on "the smell of an oily rag" when cruising the bays and having power to burn if the conditions turn foul. 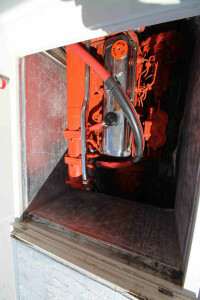 With an eye to reliability the motor was removed and completely overhauled under the current ownership and has always started "first pop". 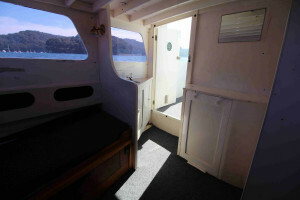 If young kids are aboard, the deep enclosed cockpit offers a safe-haven for those little inquisitive minds to visually explore the passing world. 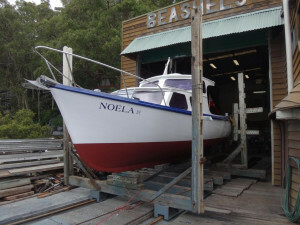 Many upgrades have been done by Beashels Shipwrights, to allow her to be cruised easily. 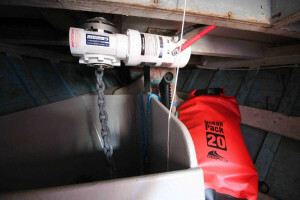 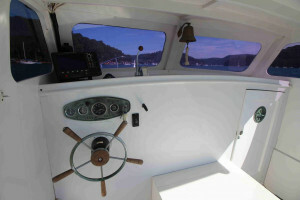 The recent installation of a Muir anchor windlass with helm controls allows the skipper to do most of the anchoring manoeuvre from the steering position. 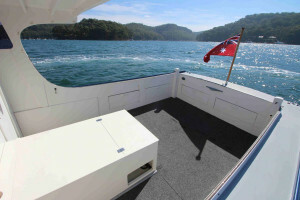 The carbon fibre supported sun cover frame is positioned in seconds to make set-up and pack-up as efficient as possible. 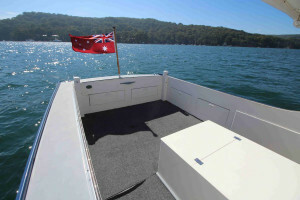 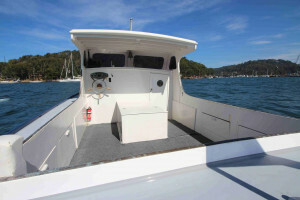 In recent years she has predominantly cruised Pittwater and the Hawkesbury, on occasions visiting Sydney Harbour and Lake Macquarie for longer excursions. 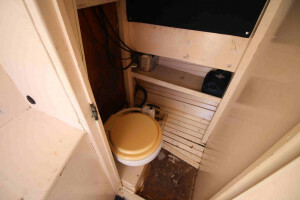 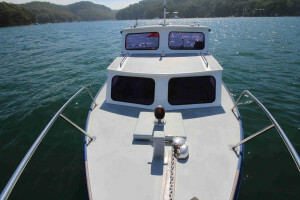 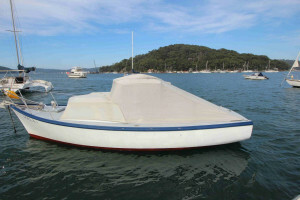 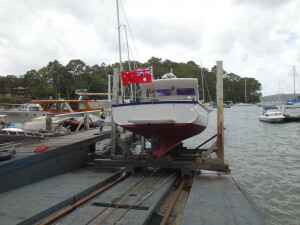 For more information or to organise an inspection please call Vicsail Sydney/Flagstaff Marine (02) 93272088.